on Sunday, February 10, 2019. I actually remembered to take a picture BEFORE the Nia class. And we actually had time. So here we are not yet hot and sweaty. Although almost half the class was not there. Ahhh, so grateful that this Nia Blue Belt wants a picture every time she visits, otherwise my students and I would never do it. And, you might have guessed that we always think about it AFTER we workout, so some have already left and all of us are hot and sweaty - so not so many join us in the picture! But here we are! Fun stuff! 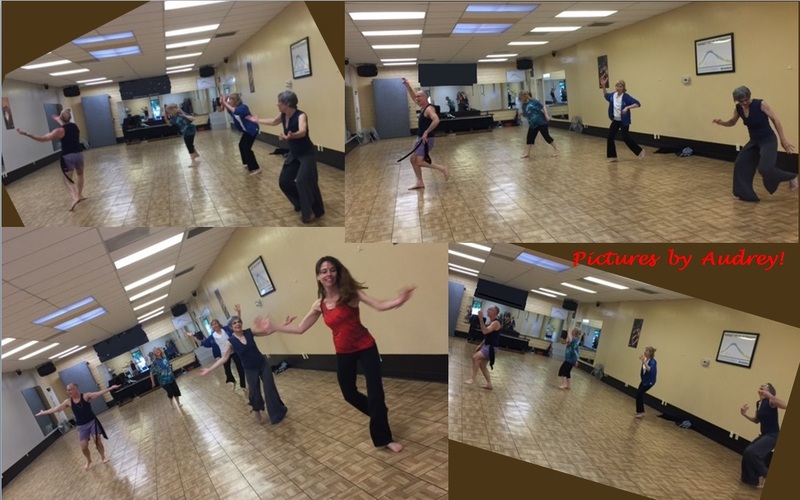 My website helps Nia dancer from all over find a Nia Class in San Jose when they are in the area visiting. I love it. We often have people on vacation come dance with us. If we are lucky enough, they have reasons to come back to the area, they come back to dance with us. We had a visitor from Chicago. She is actually a Nia Blue Belt herself. She asked for a picture after class. Most of the people had already left. Here are the few that were around to hear her request for a picture. Jason Alan Griffin came back to the South Bay Area and this time he brought Amazing. You can read about it on my blog, the post is: The Routine Really is AMAZING (click here). Here are some pictures and a video that two of the participants took and were kind enough to let me post. I hope it gives you an idea of that fun that was had. It was so fun, it was AMAZING! A Nia Teacher was visiting from southern California and she wanted a picture. So glad she did! This is the Camden Community Center Nia Group! 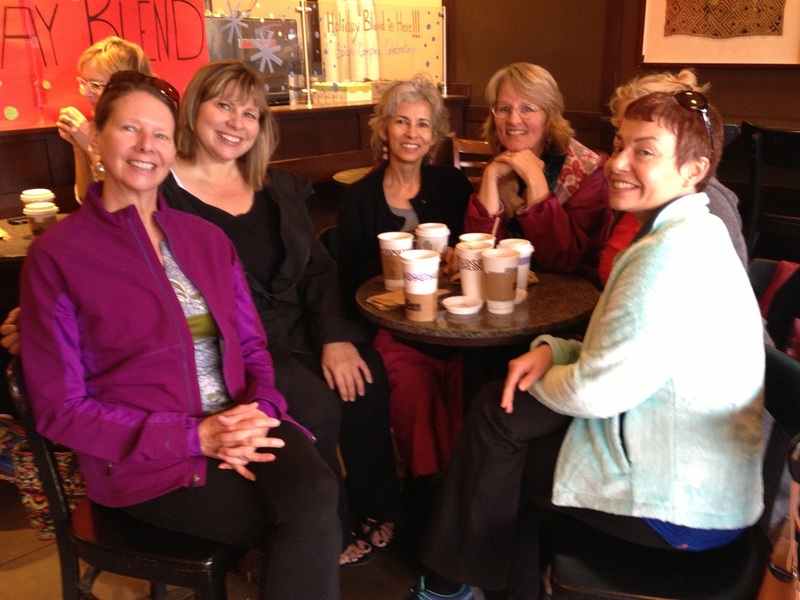 Click here for details on the Nia Class that was held in March! 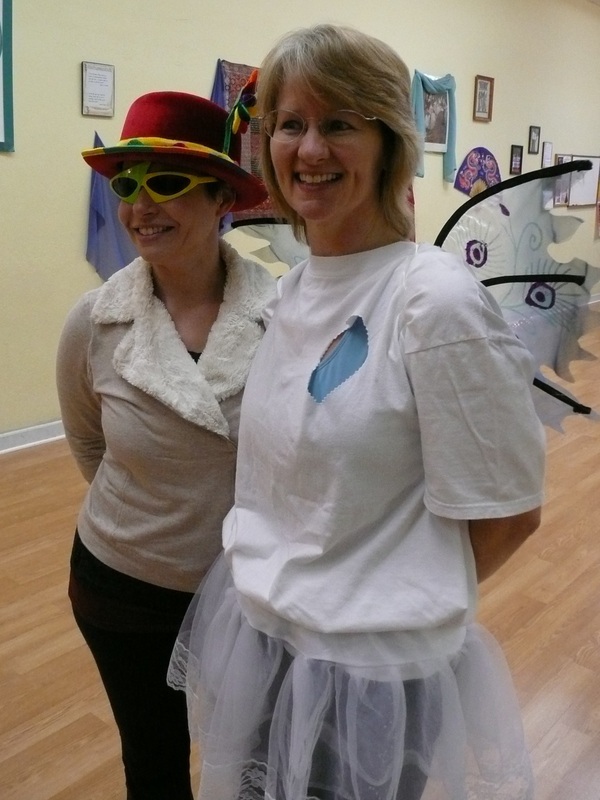 Click here for details on the Nia Playshop that was held in March! This Nia class was classic Nia format set to familiar 80’s Alternative New Wave music. 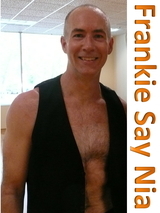 We had a GREAT time dancing to Jason's Frankie Say Nia Routine! 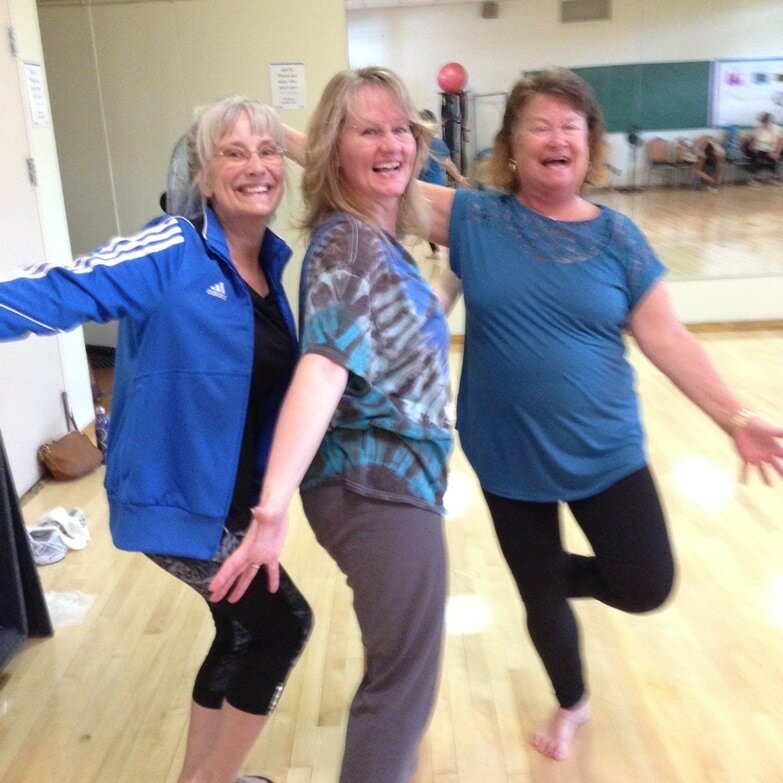 March 2015 Nia Free Dance Playshop. scroll down to see a video! 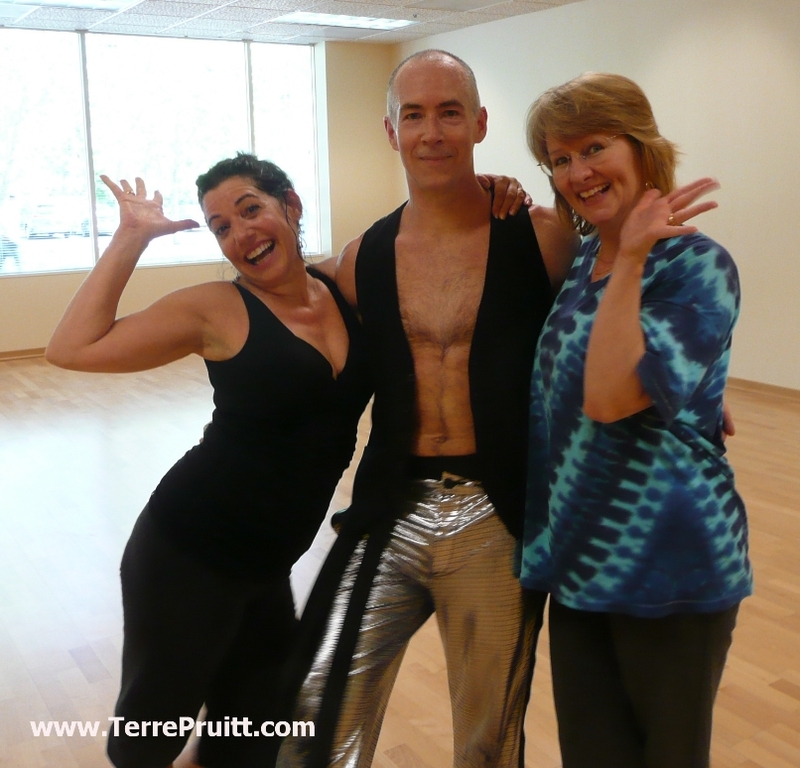 Terre Pruitt invited Jason Alan Griffin, a Nia First Degree Black Belt, to share his knowledge Nia Free Dance Playshop! 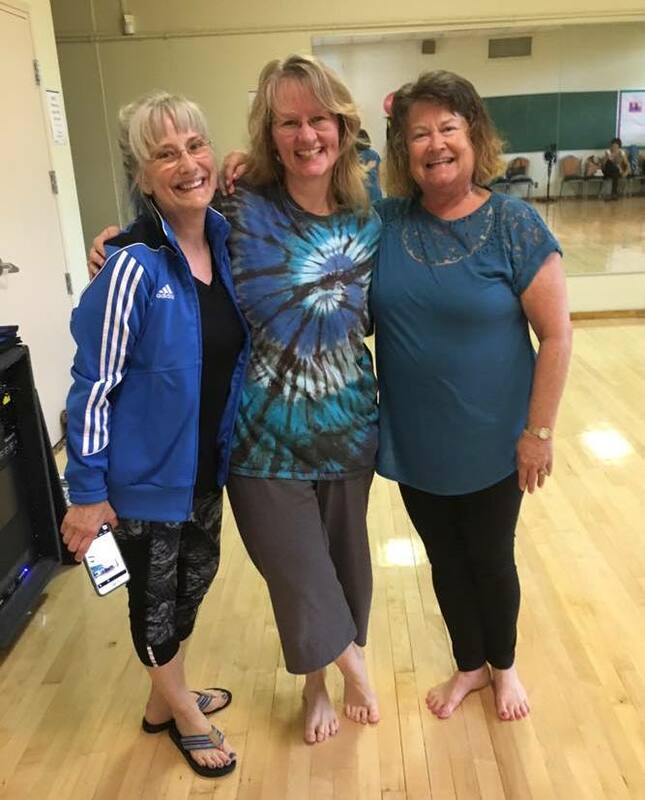 This Free Dance playshop included tools and information on how Nia participants can create their own, vital, and self-motivated FreeDance experience. There is often a Free Dance portion in Nia routines and this playshop helped with ideas on what to do during those times. The class started with a a minute of Free Dance, then a brief chat about Free Dance, including what it is, what people believe it is, and why it is valuable. Then the playshop was basically Jason giving us a tool then we would dance it! And then talk about it. Jason has helped many people become comfortable with Free Dance through the tools he shares in this playshop. 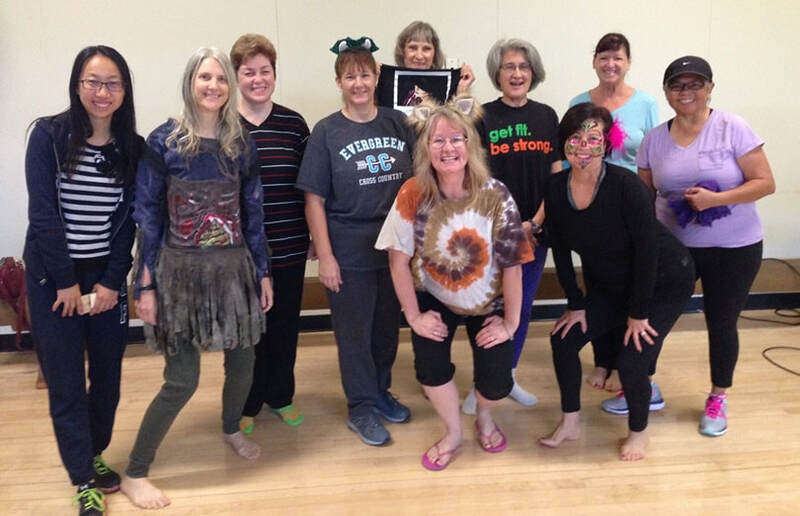 This playshop concluded with a super fun Nia Class of all guided Free Dance songs to allowed us to play with the tools revealed in the playshop. It was the shortest hour! Here is a short little video of one song we danced to. Here is a slideshow of a couple of pictures from the day! 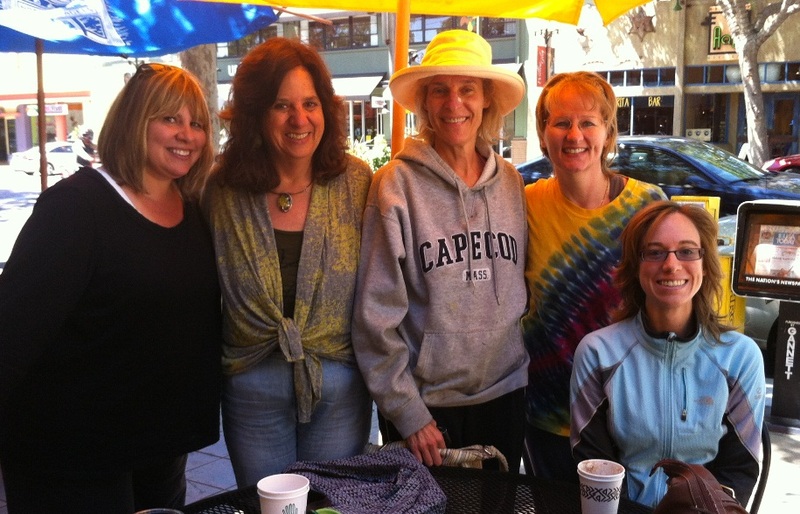 On April 30, 2014 Jason Alan Griffin was visiting in the East Bay. 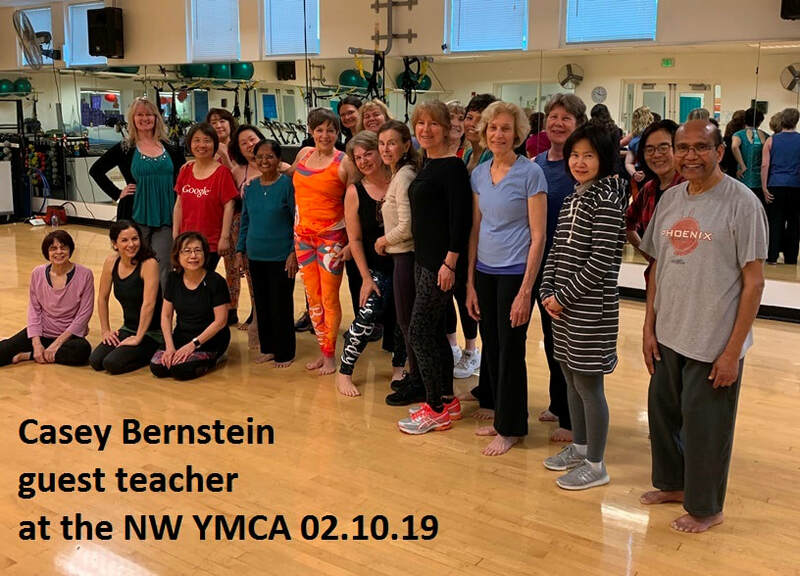 He guest taught a Nia Class. It was so fun. Jason came back and this time I invited him to the SOUTH BAY! Here is our December 2013 visit after Nia. I am very blessed to have wonderful students. But one thing about having students that you love is when they leave it is sad. Here is a photo taken because one of my wonderful (adorable, actually) students is leaving us. On Sunday, February 24, 2013, there was a Nia Event. Nia Black Belt and Trainer Helen Terry, came from her home in Texas to teach a Nia class and a playshop. 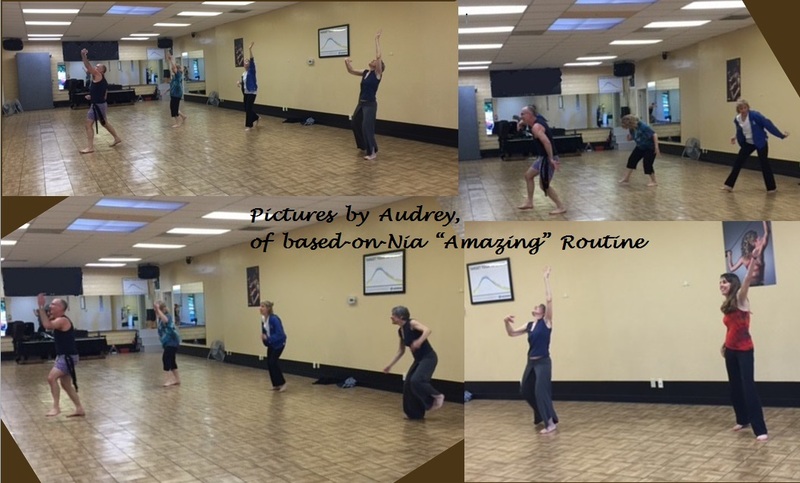 We learned a bit about how to adapt a Nia Routine to music different music. 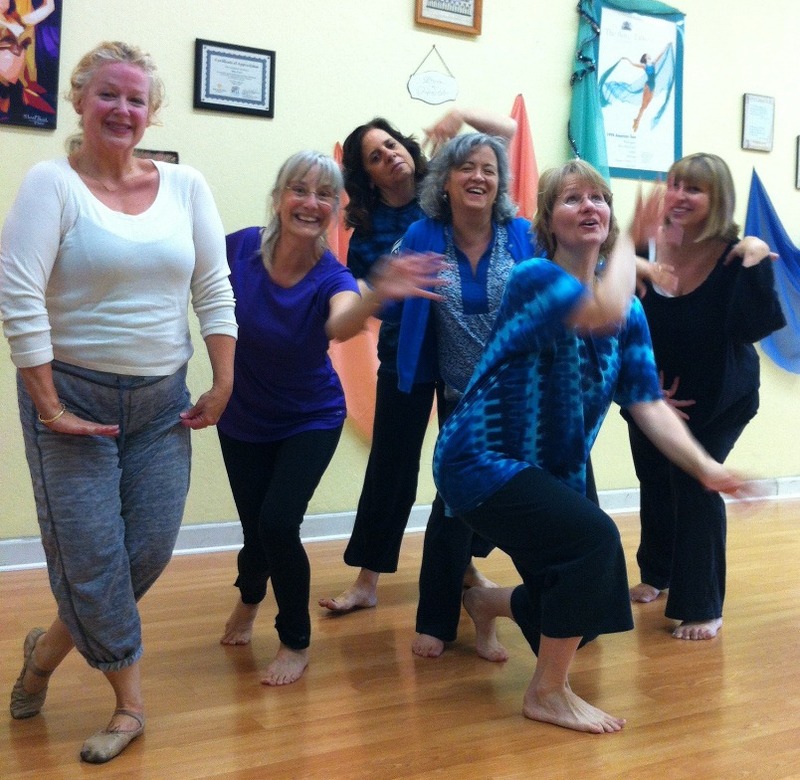 Below is a picture of the participants of the Nia class . . . . after the class! To read more about the event with Helen Terry click here . . . .Thank you. The dress up must be something one can dance in and, for me, cannot involve makeup because I would sweat it off. The idea was just to have a little indication it was Halloween. picture-a-day for a year project. This day's theme was "Flow". This is us posing in "Flow".